I am not sure how many would have noticed this error message. Just thought of sharing this with you all. My machine is already part of a domain. So above message was a bit confusing. Later I realised that I MUST be connected to my domain when the configuration process is run. 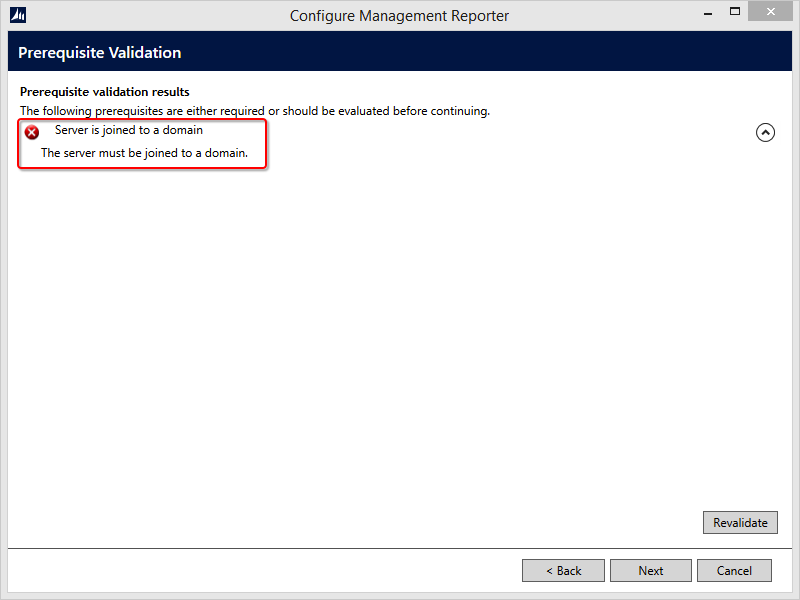 Which means the machine on which you are installing Management Reporter Server component CANNOT be physically outside the domain (even though it is already added to one) when you configure it. This morning I restarted the configuration process and it’s done without issues. Interesting. This entry was posted in #MSDYNGP, GP, GP 2013, Management Reporter, Microsoft Dynamics GP. Bookmark the permalink.